Sarah's clients say "Sarah is an inspirational and committed vet. She is compassionate to the animals and the owners and she will do whatever it takes to fix whatever is wrong. She truly loves animals and is always available in times of need, even outside of work hours. We love Dr Sarah Morton!" Sarah is an amazing vet & an incredibly passionate person about people & animals. I cannot thank her (& her team) enough for helping secure a grant to train my sons' assistance dog. Wow. Where do you start with this super vet??? Her care and attention to animals is second to none and her ability to make a pet parent feel involved and informed is incredible. She is a highly talented specialist surgeon and amazing vet - a credit to her profession and passion. You want a vet with heart and personality? Look no further. Kind. Smart. Funny. Expert. Well spoken. Best I've ever come across. I would go to no one else. Dr Sarah is a breath of fresh air, I always look forward to having a chat with her as I love her positive happy personality and her contagious laugh. 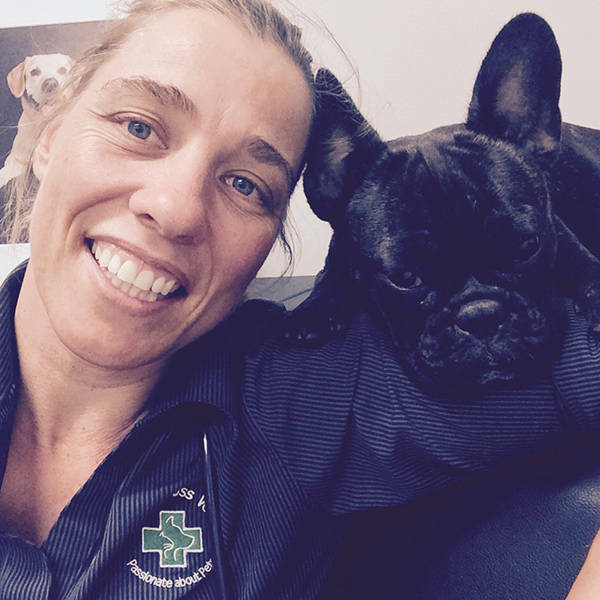 Dr Sarah is a fantastic Vet and would make an amazing Bondi Vet! Unbelievably awesome vet. Goes above and beyond to ensure my dogs are cared for. I would, and do, travel great distances to have her look after my family. Love her. Sarah is amazing with her warm loving nature. Her dedicated and passion for her profession shines through with her communication with her furry patients owners as well as her love for the animals. Words can not say enough for this wonderful vet. Sarah is the most passionate, talented and genuinely loving vet I have ever come across, so we travel for an hour and a half just to see for the most minor pet related matters without regret. Sarah is the only reason our old dog can still run like a puppy! I've had the privileged of working with Dr Sarah, and am honored to call her my dear friend. She has provided love and care for all of my fur babies. Even though I now live in the USA I still call on her first with any vet question. I have intrusted Dr Sarah with my pets care for over 8 years. She is truly an advocate for all pets and the love she shows towards them is unique and beautiful. Sarah is a true representation of a true blue Aussie and would be an amazing Bondi vet! I have seen Sarah and her team at work. Truly amazing. Sarah has every quality to be the next Bondi Vet. I'm not watching it until she's confirmed as the new presenter.